*There are spoilers in the review. What begins as a seemingly naive story about the character’s childhood and teenage years at a boarding school slowly reveals its quite horrifying, but not unbelievable, truth about the characters. Set in the late 1990s*, Never Let Me Go is narrated by Kathy H., a thirty-one year old carer, who reminisces about her school years at Hailsham. In the beginning, Kathy tells us that she recently came back into contact with Ruth, her childhood best friend, when Kathy became Ruth’s carer after her first donation. Take these terms as you understand them and try not to think about them too much. Their true meaning will be eventually revealed. Kathy remembers her time at Hailsham with Ruth and Tommy. The three were good friends and have seemingly grown up together. There is the typical playground politics between the students. Kathy and Ruth’s friendship is fraught with those moments of who has the upper hand with Ruth, and her rather brash and strong personality, always coming out on top. At Hailsham, the students learned the usual subjects while there is particular emphasis on art. Art was the most important subject and students’ reputation was defined by their artistic skills. Each month, a woman known as Madame would come into the school and pick out the best art to take away with her to hang in her rumoured gallery. The students were never told where their art were taken to. The truth is out but it seems that all the students somehow knew it already. Kathy, Ruth and Tommy leave Hailsham and go to the Cottages where they reside until they decide they are ready to start their training as carers. The relationship between the trio becomes somewhat like a love triangle. Ruth and Tommy are dating but Tommy and Kathy are more compatible. The friendship between Ruth and Kathy, while it seems extremely tight knit, tension always seems to be simmering underneath and it is really a quite toxic friendship. Ruth is quite unlikeable. The trio disintegrate after one quite explosive afternoon and Kathy doesn’t see Ruth and Tommy again until she becomes Ruth’s carer. As realistically Ishiguro wrote the tempestuous adolescent relationships, I was much more fascinated and struck by the whole ethical concept of organ donation and what Kathy, Ruth and Tommy are. They are, in fact, clones of other people. These characters, people, were designed to be walking and living organ farms and that was their sole purpose in ‘life’. Once they were called up to start donating, they don’t stop until they ‘complete’. In other words, they donate their organs until there is nothing left or their body can no longer sustain the operations. Those that survive to their fourth donation are treated like rock stars. The likes of Kathy, Ruth and Tommy frightened the rest of the population. Many believed they had no souls and were simply empty beings which is why art played such an important role because it demonstrated that was something ‘human’ within. While Kathy showed that they had feelings, temptations, and dreams just like every other natural person, I felt, and I’m assuming Ishiguro intended it as such, that something was lacking in Kathy’s narrative. It was all somewhat flat. Never Let Me Go is a very unique read and raises so many relevant questions. The characters are all brilliant although I really did despise Ruth and wanted to smack her in the head. One pressing question is why the powers that be, whoever it was that looked after all these clones, weren’t afraid that they would hurt themselves either by getting into a car accident or by suicide if they were really resentful. None of the donors expressed resentment at being forced to donate, that their lives is absolutely meaningless and that it was never their own. Of course, the easy answer would be that they were designed that way. The human factor in clones and sustainable organ donation – this leaves you lots to think about. * Alternate 1990s, of course. Ishiguro is one of my favourite writers, especially his book, The Remains of the Day. I wasn’t so enamoured of this book as it seemed rather flat and bleak (but maybe that was the way it’s meant to be) and I had guessed it was about cloning quite early on. However, you’re wonderful review has actually made me want to re-read it! I haven’t watched the film although I’m planning to at some point. Have you? This is my first Ishiguro but I’ve been wanting to read his novels for awhile. I had known that it was about organ donation but I didn’t really know that they were clones. There was something about it that made it really sad because Ishiguro has made these characters to be exactly like us, especially with all that adolescent and school girl dramas! The film isn’t out here yet but I did see the trailer although I didn’t really know what it was about. The film looked good although I never did like Keira Knightly. I read this book many years ago before my book blopgging days, and it left me with a whole boatload of questions. I didn’t understand why these three HAD to become donors. Nobody seemed to be holding them prisoners, they could have just run away. And then I thought maybe they did not even realize they had a choice to leave. In some way, they had grown up knowing this was their path and they never realized there could be other options for them by rebelling. Makes me wonder how much we are ourselves conditioned in our lives to follow unspecified society rules just because we don’t realize that any other option could be out there. That’s what I didn’t really understand either but I suppose 1) Ishiguro didn’t really want to get too bogged down with all the scientific details and only wanted to focus on the characters, and 2) if the science was that good to clone human beings without any seeming problems, then why couldn’t they adjust their thought process to not even consider the idea of running away or donating or even place tracking devices. Again, when we think about it more deeply, are Kathy, Tommy and Ruth even really human despite everything Kathy tell us? 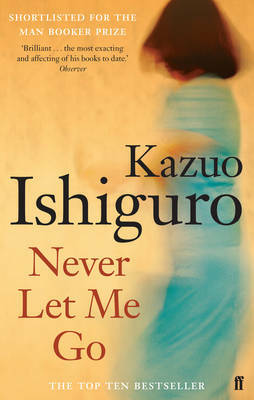 I read this in 2005 and liked it – it’s not my favourite Ishiguro but what I like about Ishiguro is his tone, the matter-of-fact almost emotionless description of things which, we come to realise, are quite horrible, usually by narrators who, themselves, don’t recognise that horror (or certainly don’t recognise the fullness of the horror). And he does this here doesn’t he. I read somewhere that it was his cheeriest book to date…hmmm…. His cheeriest book to date?!!! Oh my! Now i’m really intrigued by his other books. That the characters don’t recognise the full horror of their situation is especially true and I think it was the element I was trying to describe but couldn’t pinpoint. There is something missing in Kathy’s narrative and I think it is the horror that we, as readers, feel when we find out what they are and what they are designed for. I love this book so much. I know a lot of other readers feel as you do about the flatness and the distance of Kathy’s narrative, but to me her emotional restraint made the whole thing even more shattering. I wasn’t bothered by Kathy’s flatness in her narrative and I do think (giving Ishiguro benefit of the doubt) that it was deliberate. Kathy is resigned to her fate. Tommy and Ruth were not in the beginning. But Kathy’s narrative did tend to wander here and there which was slightly annoying but the teenage-girl prose was spot on! I admit I did not read your post, because I still have to read this. But you did remind me how much I’d like to read it! I am glad to hear you liked it (I did read the last paragraph). That’s ok, Iris! I do the same thing too. I hope the last paragraph didn’t give too much away. I think they are brainwashed since birth that it is the only intention of their creation. I liked it that way. It had a chance of becoming a cliche if Ishiguro had taken it to a different direction (Imagine Hollywood style rebellion, run-away, and revenge, plus car chasing *roll eyes*) There are always different point of views and different reactions to a situation and I’m glad this one was told. Would love to see the movie soon! Thank goodness Ishiguro didn’t do the whole typical rebellion thing! I think brainwashing is right – if you could even call it that. This was their way of life from the very beginning but I still wonder if there were any ‘strays’ in that crowd. I mentioned why I don’t think they could run away even if they wanted to when I reviewed this as I noticed that alot of people getting frustrated that they didn’t/couldn’t. 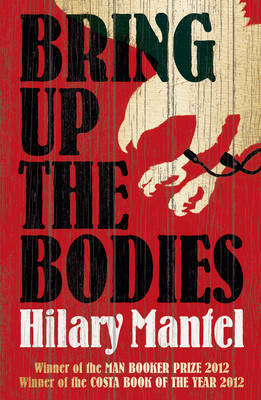 I loved this book and found it very thought provoking and something that I still think about. I will have to check out your review. 🙂 I still get very sad when I think about the whole concept and I hope that this never happens in reality. This is one of my all-time favorites, so I love reading others’ thoughts on it! It’s so amazing how the emotional disctance of Kathy reinforces the horror of her world for the reader. If the emotional distance was deliberate on Ishiguro’s part, then wow! What a great effect that has had. The distance isn’t quite noticed you get to the end which stuns you once you finish.